In the news this week: Get into the wide world of sake cups with a nice three-piece set from a Michelin-awarded expert. Also, the field of contestants narrows for Dassai’s box design contest. Finally, l’chaim! Hakkaisan Brewery opens the doors to the Jewish culinary world with kosher certification. 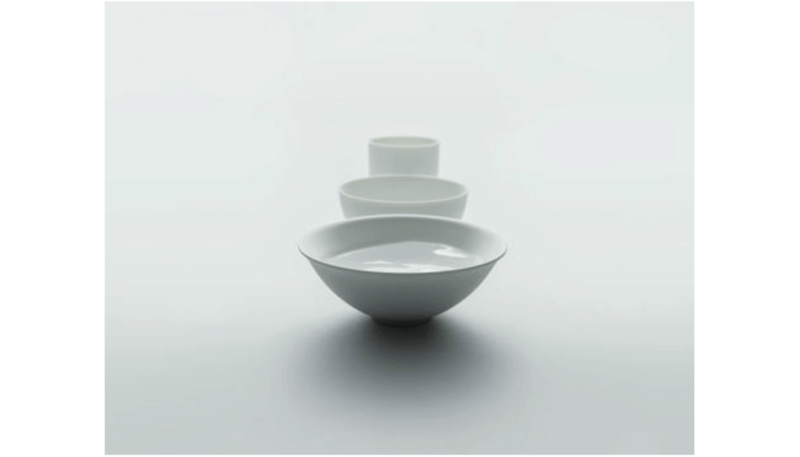 From the mind of Yusuke Miyashita, a set of three sake cups will go on sale December 4. Named Asobi Sake Ceramics, each set comes with three porcelain cups in different shapes to accentuate different elements of sake’s flavor. The “Type Dry” cup has a wide rim and is shaped like a bowl to accentuate the acidity of sake and deliver a crisper taste. “Type Mild” also features a wide rim but is deeper, allowing for a well-rounded balance of sweetness and acidity. “Type Rich” is a straight and narrow cup, good for sake with more complex flavor profiles..
Miyashita designed each cup with precise measurements to optimize their effects on sakes’ aroma and flavor. His restaurant, Fushikino, specializes in sake pairing, not only with food but with art, and boasts six consecutive years of Michelin stars. Each set sells for 9,600 yen and pre-orders are underway now. These three cups represent the essence of Miyashita’s philosophy and make a great starter set for those interested in diving deeper into sake’s diverse connoisseurship. 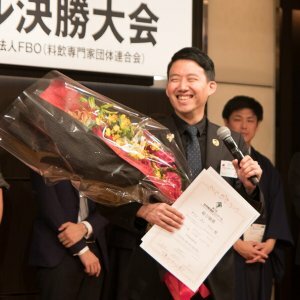 Major sake maker Dassai announced the shortlist of candidates for the Dassai Design Award 2018. 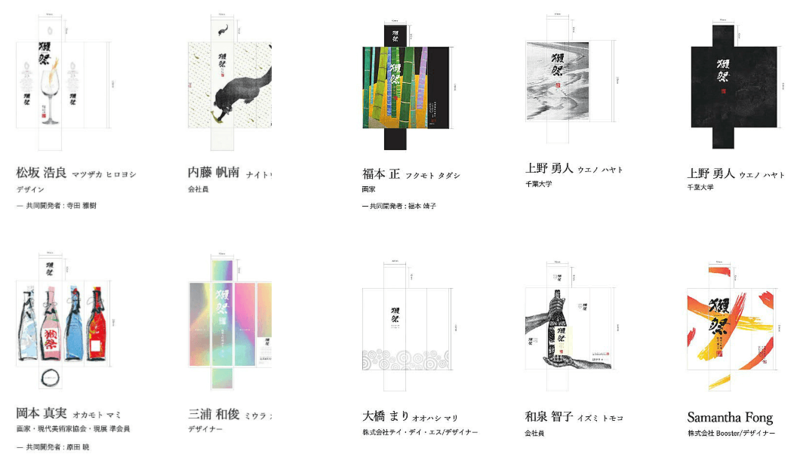 The design contest collected concept art from across the world this summer: selected winners will ultimately go on to adorn the decorative boxes Dassai sake bottles are sold in. Many submitted concepts but only 15 made the shortlist. The designs selected included traditional Japanese art styles, solid colors and simple geometric patterns, plus a few more playful designs with bright colors and pop art aesthetics. 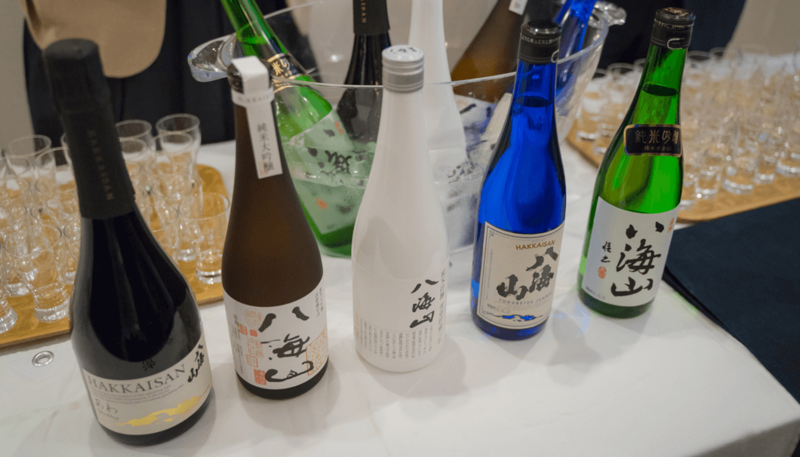 The Grand Prize winner will receive one million yen (US$8,800) and the satisfaction of knowing their design will furnish 50,000 bottles of Dassai 23 Junmai Daiginjo. 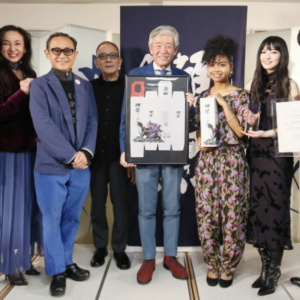 Five other designers will get Awards of Excellence, a medal and 200,000 yen ($1,700) in prize money. Dassai will announce winners in the coming days and will hold an awards ceremony on December 17. Best of luck to all on the shortlist! On October 29, the Israeli Embassy in Tokyo hosted a special event in cooperation with Hakkaisan Brewery to commemorate Hakkaisan’s recent kosher certification on nine of its junmai sake labels in April. Kosher certification is an important step for sake breweries in reaching the Israeli market – as well as other Jewish communities around the world. However, the concept of kosher is still relatively unknown in Japan, and, with this move, Hakkaisan is hoping to establish itself at the forefront in kosher-certified sake. 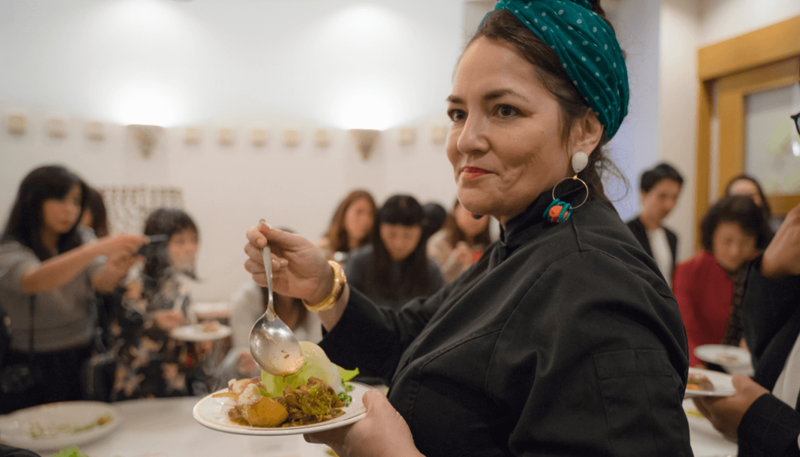 Working with prominent Israeli and Japanese chefs, organizers developed and exhibited a series of pairings at the Embassy event. 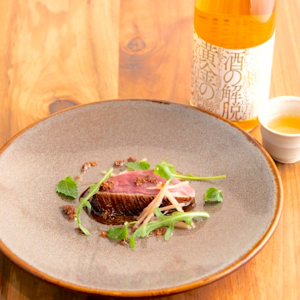 In the future, it’s hoped that Israeli restaurants will embrace the flavors of sake and amazake – as both beverages and cooking ingredients – along with koji as a potential tool in a range of fermented foods. Hilla Alpert, one of the most famous chef in Israel　cocked and served this special event.